I’m making it a goal to try at least 2 new recipes every week, to kick up the excitement in the kitchen. 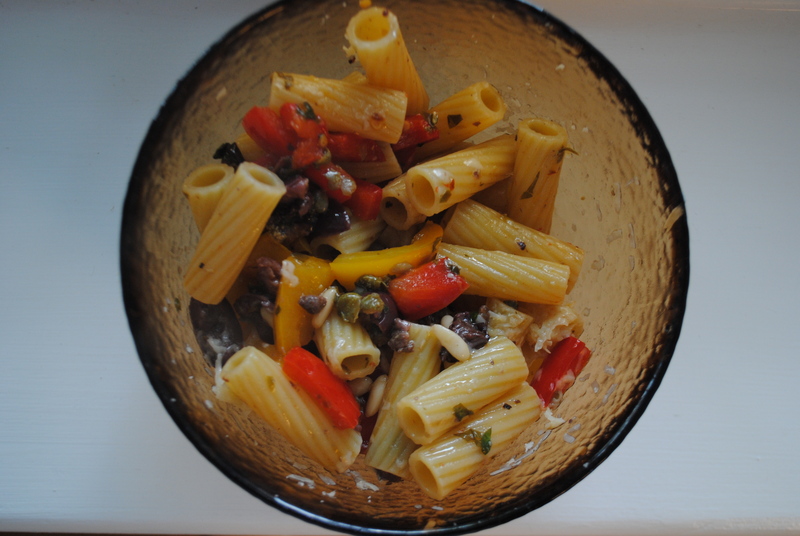 This rigatoni with capers, pine nuts, and bell peppers is from the Real Simple Dinner Tonight Done! book. While it wasn’t a flop, it wasn’t exactly that excitement I was looking for.